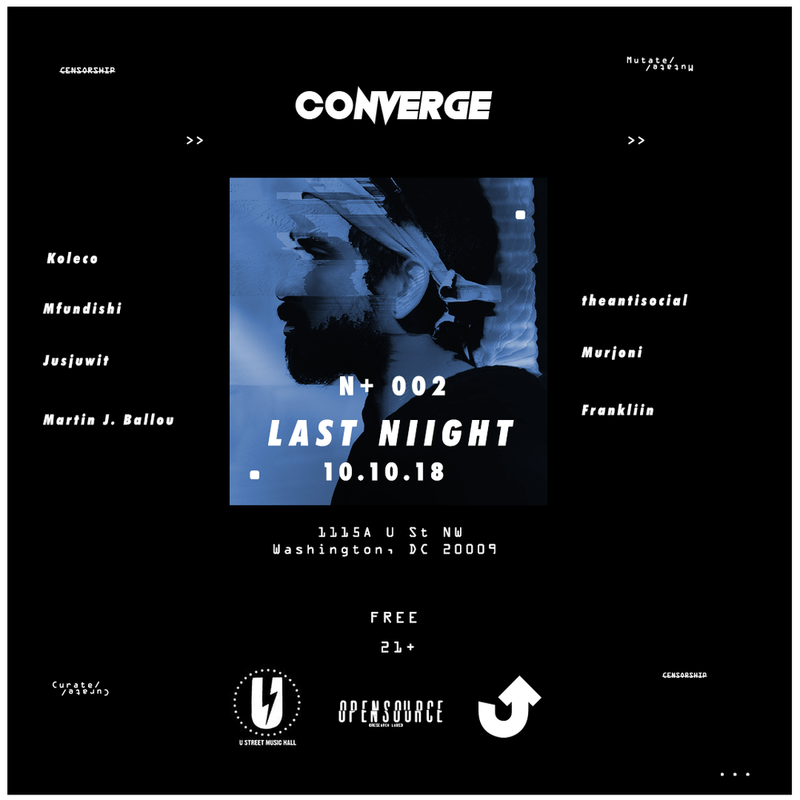 In anticipation of their first collective show this Wednesday at U Street Music Hall, Last Niight has dropped a posse playlist featuring a number of its producers and DJs. Common themes amongst the millennial collective are remixed afro beats as well as the spinning of classic 1990s and early 2000s hip hop and R&B records. Koleco, the founding member of Last Niight, who’s about to embark on a European tour, plays with an edit of Usher’s “My Boo,” while Melik Deal, aka Mfundishi, reworks Field Mob’s “So What” with Ciara. Deal also contributes verses to the collective. He and fellow Last Niight rapper THEANTISOCIAL came locked and loaded with freestyle bars a couple weeks ago during their episode of Late Bloom Radio. Martin J Ballou, however, has this Rico Suave demeanor that we talked about on radio and you can hear it in his songs “Wantin’” and “Intermission” featuring Mudi . They’re meshed in with TheSpaceBetween mix below—a short EP he released in 2017. 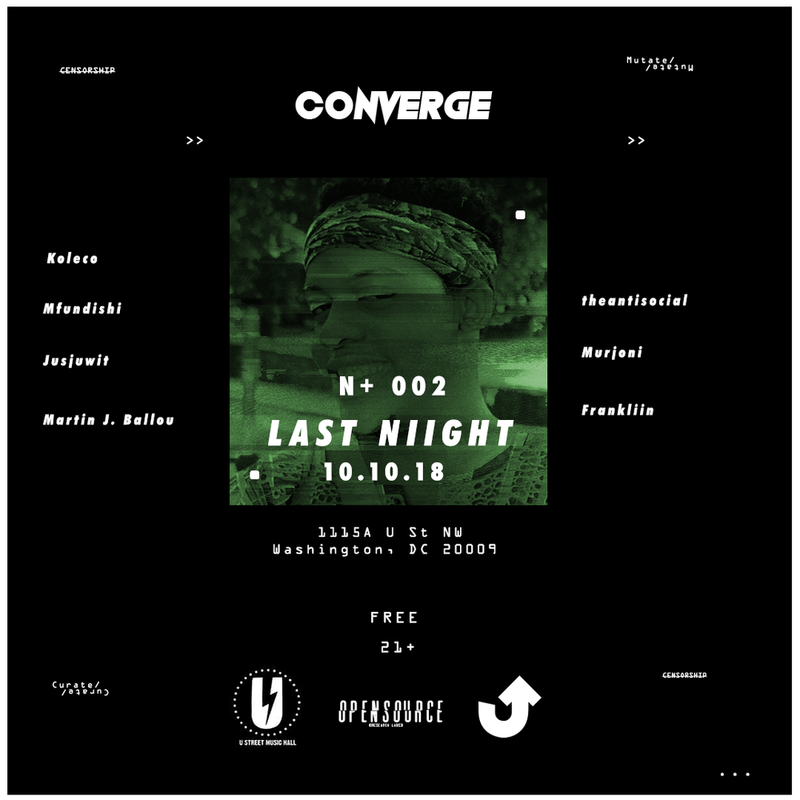 Listen to the playlist and don’t forget to step out to Converge this Wednesday at U Street Music Hall for Last Niight’s sonic exposé. ‘Converge’ flyers designed by St. Clair Castro.